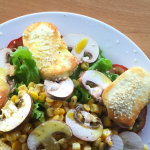 The Meat Free Week officially ends today but I would like to share one more recipe with you how you can start your day a little brighter and more healthy. 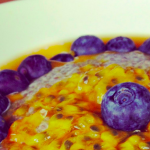 Smoothie Bowls, Acai Bowls and Chia Pudding are very popular these days. The food has to be organic, vegan, paleo, dairyfree and glutenfree. Some people might think that this is too much. But I am personally a big fan of each movement because I like to be healthy and I like to try different types of food. 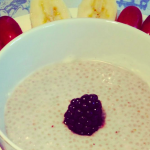 Chia Pudding has become an essential in my kitchen and I love that it is so versatile. 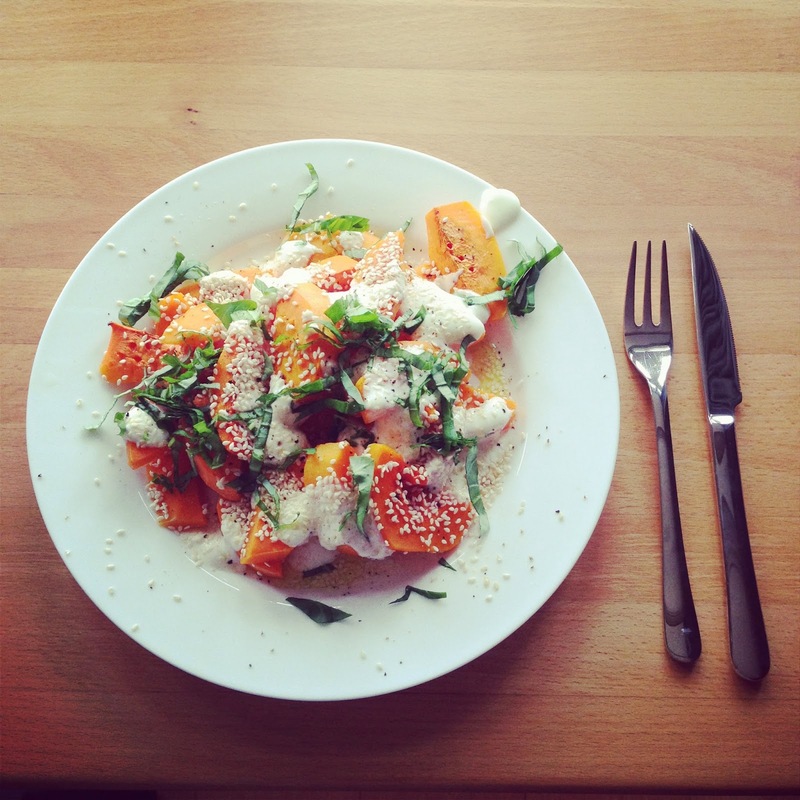 I put it in müslies, smoothies or eat it with fruits and yoghurt. I like to prepare mine with Almond Milk or Coconut Milk. You have to give the little seeds a bit of flavour so I sometimes add Vanilla paste or cinnamon. But what I love as well at the moment are breakfast bowls with fruits, yoghurt, smoothies and seeds like this Smoothie Bowl. 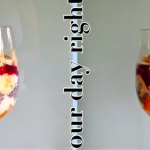 The bowls are actually not really hard to prepare but if you like a nice layout you have to have good fine motor skills to arrange the ingredients nicely on the plate. Take a Bowl and place the Yoghurt in it first. I mixed 3 spoons of natural yoghurt and three spoons of Vanilla Joghurt. 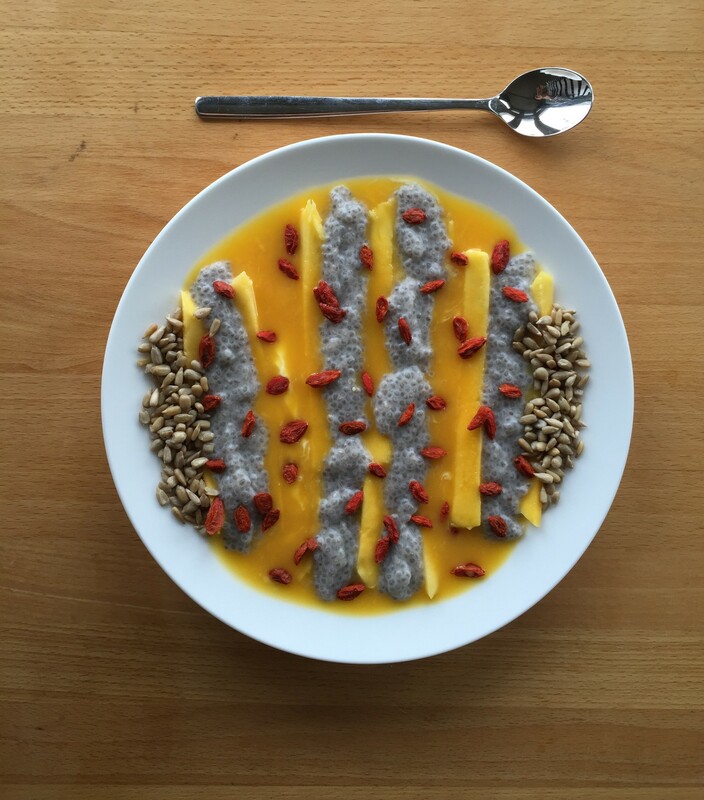 Afterwards cover the yoghurt in yellow mango smoothie and place the mango slices parallel to each other. 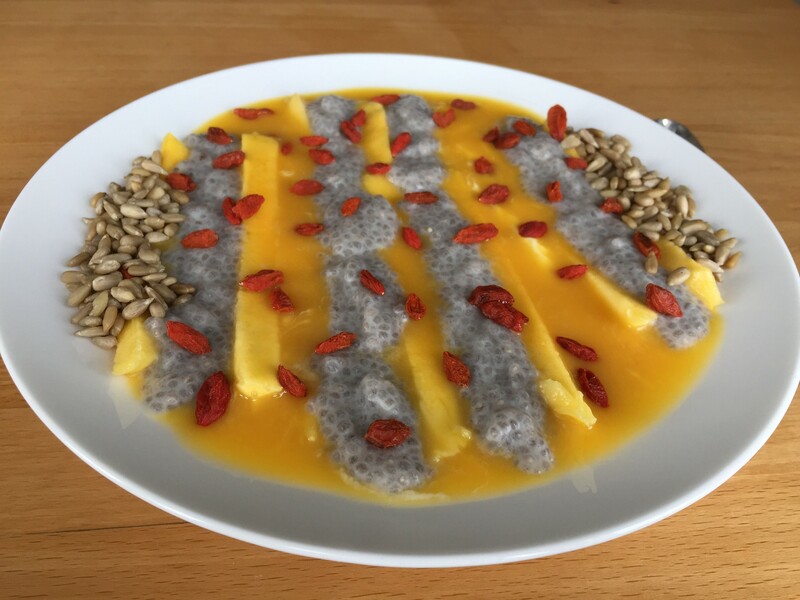 Drizzle the Chia Pudding in between the mangos. 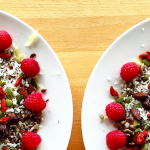 Now pour two tea spoons of sunflower seeds on each side of the plate and lastly place some goji berries on top. 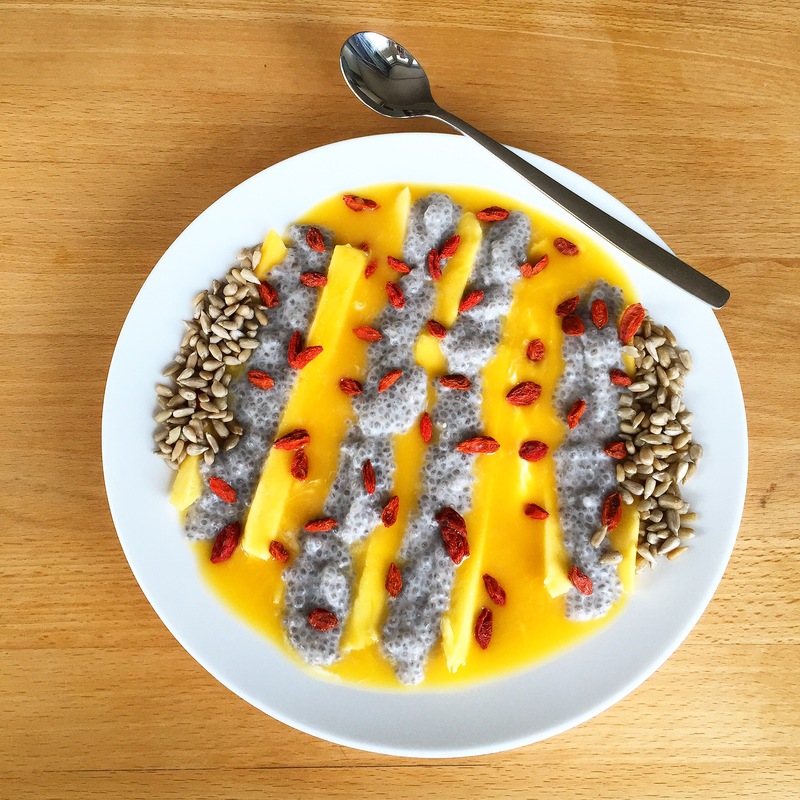 That’s my Mango Smoothie Bowl. 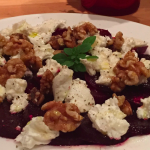 More healthy recipes are coming if you like. Hope you like this breakfast alternative.